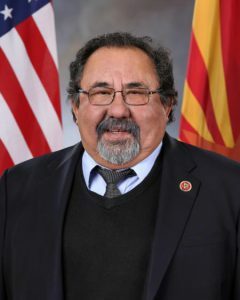 Rep. Raúl Grijalva currently represents Arizona’s 3rd Congressional District and has been serving in Congress since 2003. As a longstanding member of the Congressional Hispanic Caucus and the Co-Chair of the Congressional Progressive Caucus, he has established a reputation as a leading voice on immigration and the issues most affecting working Americans. With the start of the 116th Congress, Grijalva became the Chairman of the House Committee on Natural Resources; he also serves on the House Committee on Education & the Workforce.